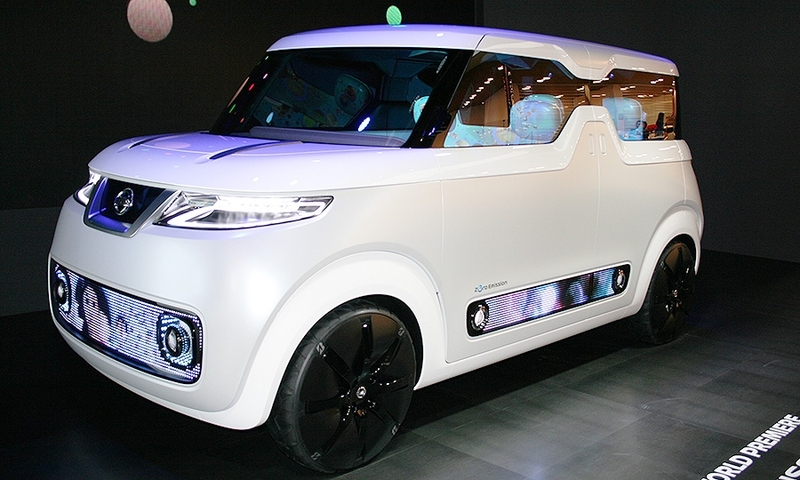 The Teatro for Dayz concept anticipates ultraconnected, digital-era driving. 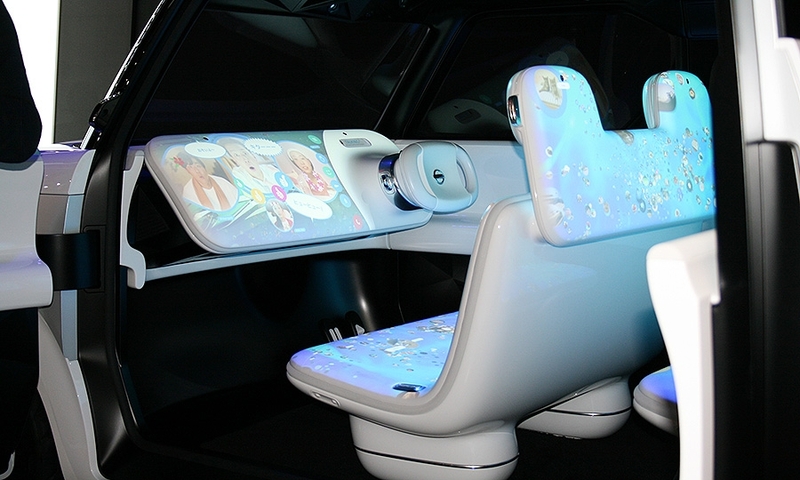 Nearly every cabin surface, even the seats, is envisioned as being a touch screen display. 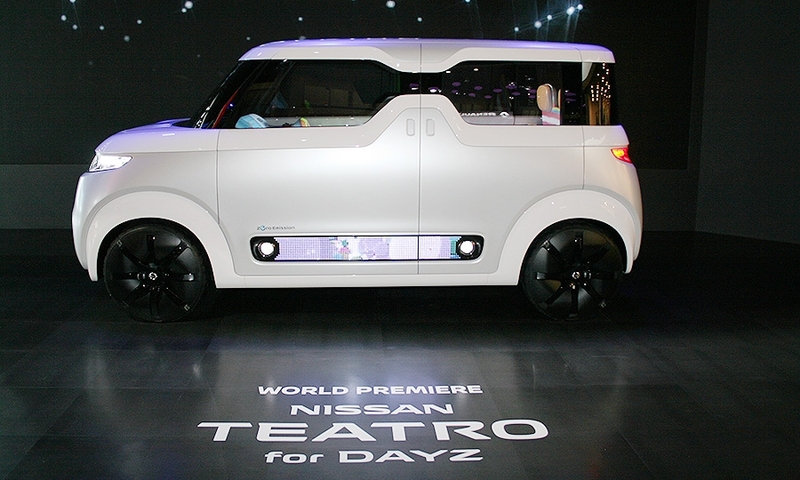 Teatro is Italian for "theater"; Dayz is the name of an existing 660cc Nissan minicar developed jointly with Mitsubishi. 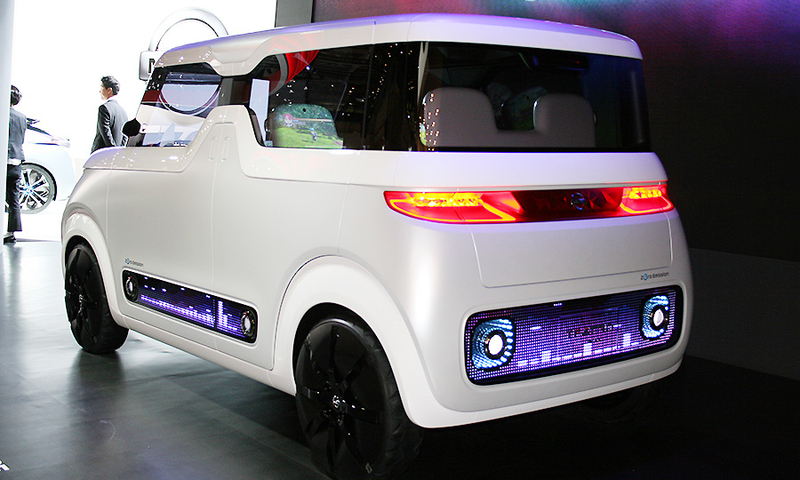 The Dayz-based concept gets an all-electric drivetrain and external restyling. 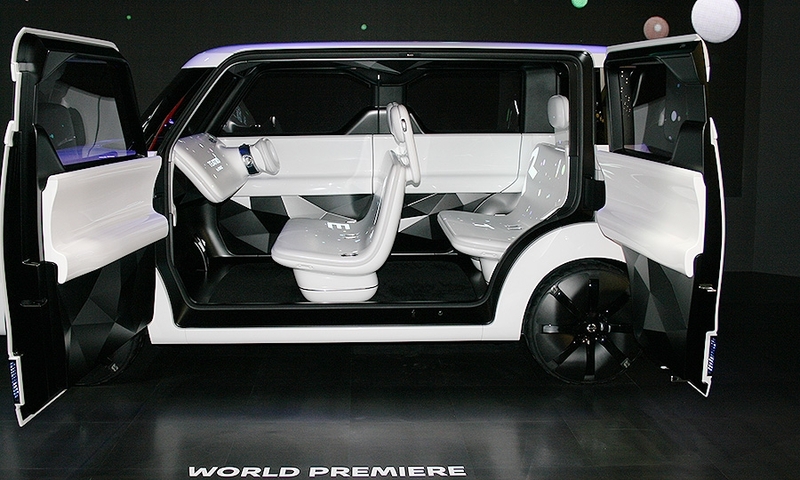 Designers dropped what Nissan called "the usual components that express aggressiveness: speed, size, elegance, and other traits you would expect to see on a car."